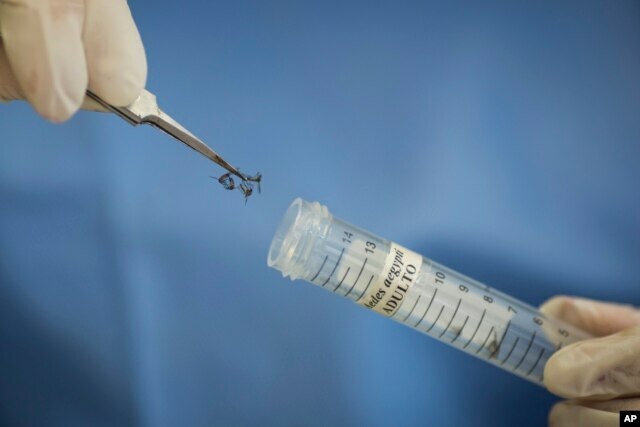 The World Health Organization warns the Zika virus, seen as a possible cause of severe birth defects, is spreading rapidly through the Americas and could affect as many as four million people. 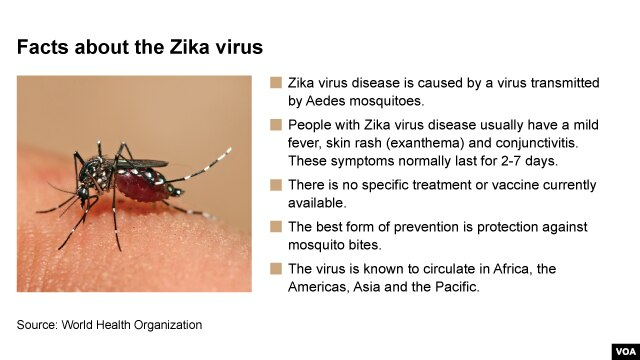 The U.N. health agency’s director general, Margaret Chan, said the Zika virus was discovered in Uganda in 1947, but has since spread throughout the world and in recent years has become associated with neurological complications. Thousands of pregnant women infected with the virus have given birth to severely or mortally disabled infants. 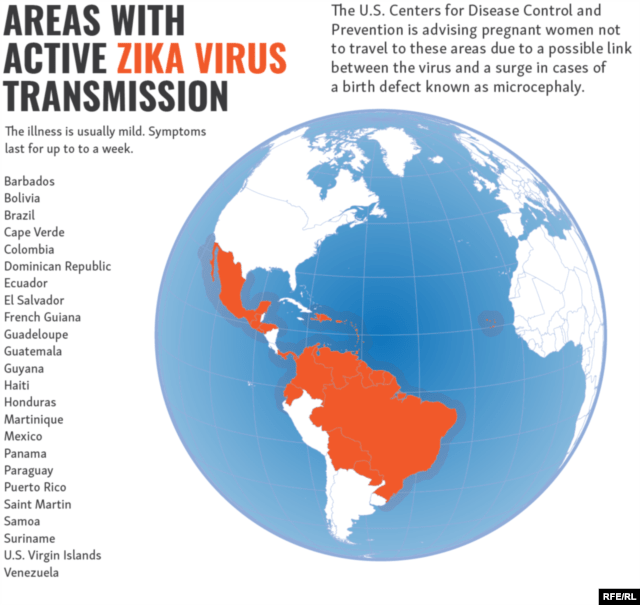 Chan told a special meeting of WHO in Geneva on Thursday that the Zika virus is “spreading explosively” in the Americas. She has called for an emergency meeting of experts Monday. In the United States, President Barack Obama has called for the rapid development of tests, vaccines and treatments for Zika infections, which until now have resisted all treatment efforts. Obama convened a meeting of senior health advisers to discuss the spread of the virus and its economic and developmental impact on the Americas. WHO’s Chan said a direct, causal relationship between the Zika virus and such birth defects has not yet been firmly established, but it is strongly suspected. A technician of the Fiocruz institute stores Aedes aegypti mosquitoes to be used in research, in Recife, Pernambuco state, Brazil, Jan. 27, 2016. Next week’s meeting in Geneva will explore measures that affected countries should take to combat the virus, she said, and also provide advice on the appropriate level of international concern about the ailment. The virus is named for the Zika forest in Uganda where the virus was first discovered in a monkey nearly 70 years ago. It was first believed to affect only primates, and when it was detected in humans, it seemed to cause only mild illness. 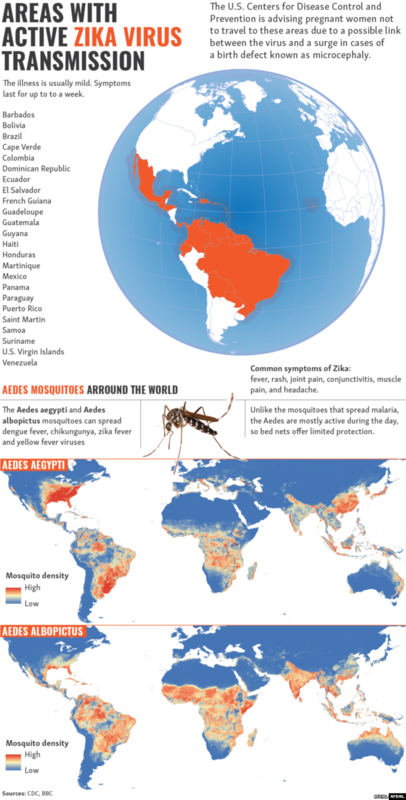 Outbreaks in Brazil and elsewhere in southern and central America have led to extensive spraying of insecticides to eradicate mosquitoes. Zika virus has been tentatively linked to 4,000 suspected cases of microcephaly in Brazil, a condition that results in abnormally small heads and brains in newborns. 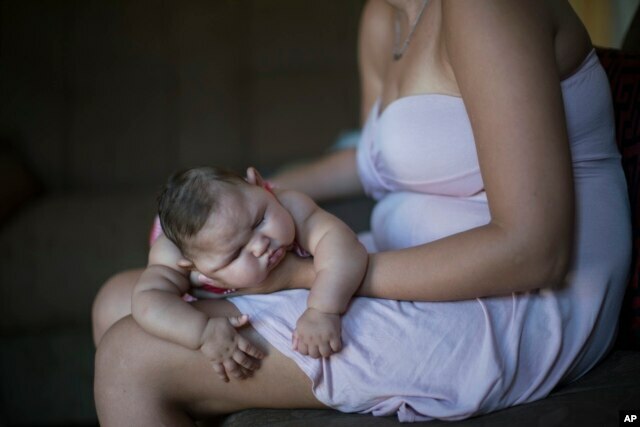 Gleyse Kelly da Silva holds her daughter Maria Giovanna as she sleeps in their house in Recife, Pernambuco state, Brazil, Jan. 27, 2016. He says that an existing vaccine platform, that was proven safe with the West Nile virus, could be repurposed for use in developing a vaccine for Zika. However, he added that a completed vaccine is several years away. Health officials in the U.S. state of Virginia said Tuesday a man there tested positive for the virus, but that there was no risk of it spreading to others because it is not mosquito season there. On Wednesday, a hospital in Denmark said a tourist who had traveled to South and Central America has tested positive for the incurable disease. Controversy has arisen in El Salvador and Colombia, where authorities have said women of child-bearing age should postpone getting pregnant. In Brazil, 200,000 troops are traveling to homes to distribute pamphlets offering advice on eradicating mosquitoes, while crews are also fumigating areas that will be used for upcoming carnival celebrations and this year’s Olympics. WHO’s regional office in the Americas said Monday the most effective ways to stop the virus from spreading are to reduce mosquito breeding sites and for people to protect themselves from bites with insect repellent, nets, screens and clothing that covers as much of the body as possible. This entry was posted on January 30, 2016 by conspiracyanalyst in Diseases and Disorders, Health & Wellness, International News, Latin America and tagged Latin America, Zika virus.